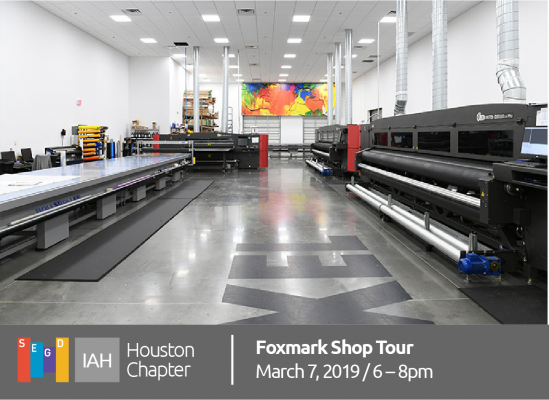 We are looking forward to a tour, food and drinks - and also, maybe learn a little about the printing industry and really enjoy a good time. So please RSVP and mark your calendars. We look forward to seeing everyone again!!! 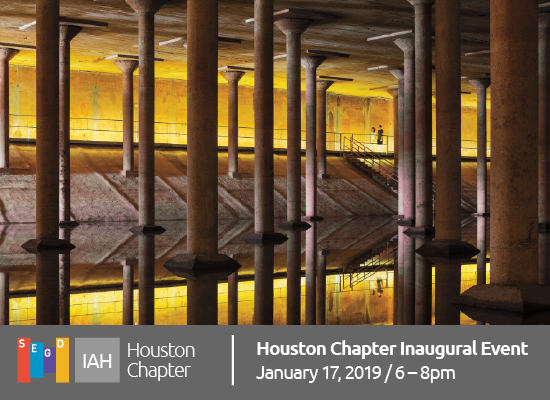 Well, first off, thank you all for attending our inaugural event of the IAH chapter of the SEGD. What a great turnout it was which made it truly a success. The most important part of your lives that you have to give is your time. Time away from your jobs & families, and you chose to spend it at our event. This lets us know the importance of this chapter and what can really make it special. Thank you all again for coming. It seemed that the night had barely begun, and it was already drawing to an end. Thank you Grady Brown for taking time to remind us about the national conference coming up in Austin and Steve Bayer with Daktronics for speaking about the national side of things with SEGD. It was good to catch up with old friends and make new ones. A special thanks to Kirksey Architecture for hosting the event at their office. What an incredible venue. Also, please put on your calendars March 7th as we will be having the next event and it will be a shop tour. You won't want to miss this event as we hope to incorporate some education into the evening along with good food and more socializing! Details to follow at a later date!! At our last gathering, we took down suggestions, and wow, did we get more than we bargained for. I am sad to say that we cannot take a trip to the International Space Station (good suggestion though), nor are we able to practice with the Houston Texasn football team, but we are compiling many of the same answers and we will try to incorporate them into our next meeting to discuss future events. I was encouraged as the predominant theme was for more education. This is one of the best ones I've seen and we will try to get us all involved in this venture. We all can learn more! Once again, we really appreciate everyone's attendance, kind words and support offered. We are looking forward to where and what the future holds for our chapter and SEGD. Looking forward to March 7th!! find out what you'd like to get out of our local chapter. Students, designers, and industry professionals are welcome - you don't need to be an SEGD member! Spread the word, and bring a friend or two! This event will be sponsored by GraphTec who will be providing appetizers and drinks. Houston we have a Chapter! 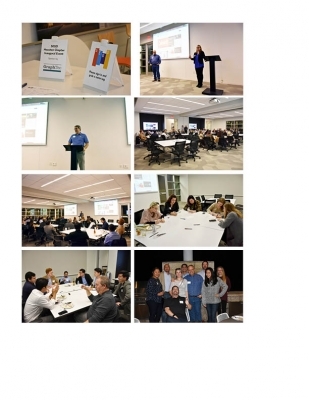 Welcome to the new Houston Chapter of SEGD! SEGD Houston is committed to engaging, educating and bringing together students, industry professionals and designers within the experiential graphic design community. Stay tuned for information regarding our upcoming inaugural event in early 2019!